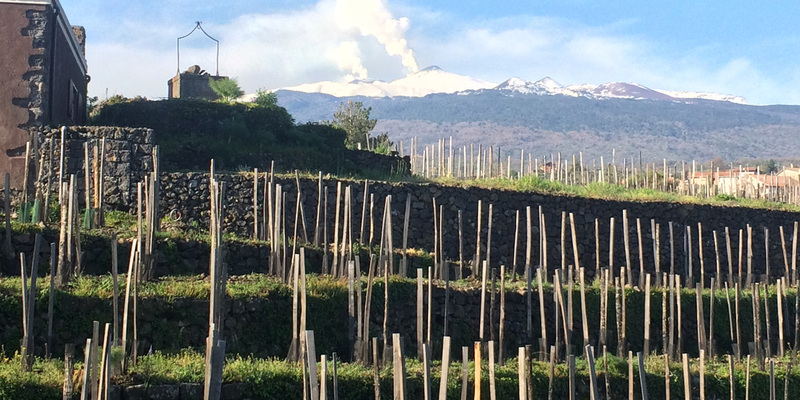 Vino di Anna is a small property owned and run by Anna Martens and Eric Narioo high on the north face of Mt Etna, Sicily. Grapes are hand harvested from 60 – 100 year old alberello (bush) vines. 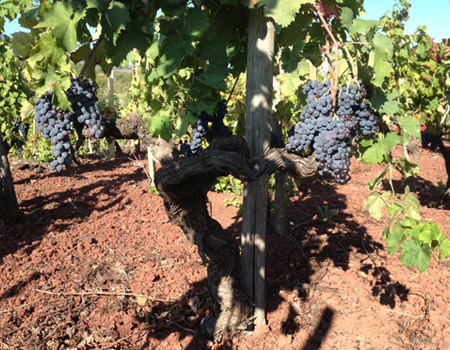 Nerello Mascalese is the principal red grape, coupled with small percentages of Nerello Cappuccio and Alicante. The white is a field blend, mainly Grecanico and Carricante.The vineyards range from 760 m – 1000 metres in altitude, are terraced and are farmed organically by hand. 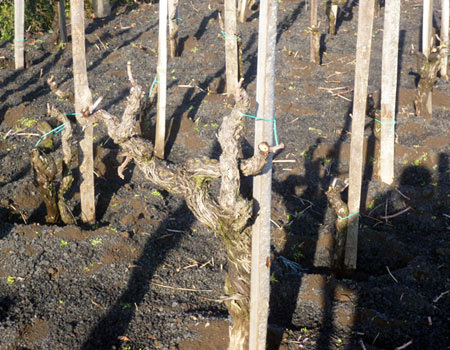 The soils are black, decomposed lava (volcanic), except around Linguaglossa, where they are bright red and full of iron. The mineral content is very high giving the wines a noticeable sapidity. Wines are made with minimal intervention, natural yeasts, no additives, no fining or filtering and little or no SO2.